In computer networking, a serial port enables external modems to connect to a PC or network router via a serial cable. The term "serial" signifies that data sent in one direction always travels over a single wire within the cable. Serial Ports were phased out when USB and wireless connections came into use in the early 2000s. USB was much faster, easier to use, smaller, and less complicated than serial. These days it's hard to find a computer that has the older serial ports, much input (mice or keyboards, for example) or other peripheral devices that require them. The prevailing standard for traditional serial port communications historically has been RS-232. 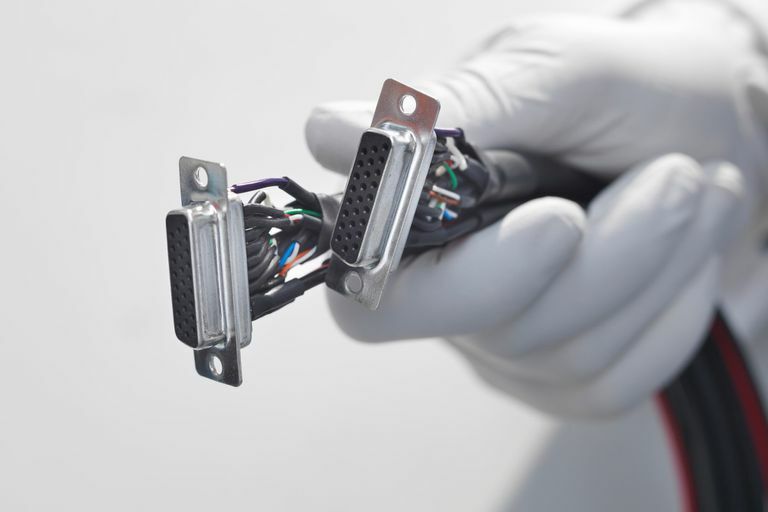 These serial ports and cables are the same used for PC keyboards and other computer peripheral devices. Serial ports and cables for RS-232 PCs generally feature 9-pin DE-9 connectors, although 25-pin DB-25 and other variations exist on specialized hardware. The alternative RS-422 standard applied to many Macintosh computers. Both of these standards are now obsolete in favor of USB or FireWire standard ports and serial communication.